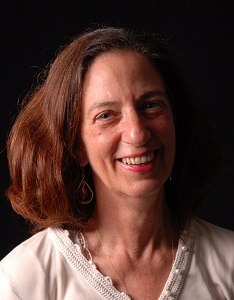 Catherine Ann Lombard is a Psychosynthesis Psychologist, Counselor and Researcher. She has an M.A. in Psychosynthesis Psychology from Middlesex University, London and a Diploma in Psychosynthesis Counseling from the Institute of Psychosynthesis, London. She is from California and has lived in Japan, Egypt, Ireland, Germany and now lives in Umbria, Italy. Catherine spent a year in Cairo working with the Garbage Collectors and the Coptic Orthodox Church. She lives with her husband, a theologian, philosopher and the world’s leading expert on Ephrem, the 4th century Syriac poet. For six years, they lived in Umbria, Italy, where they grew their own food and renovated a 13th century home. There she wrote personal essays and taught yoga, meditation and English language. Catherine has organized and led women’s groups in the exploration of feminine Celtic spirituality in Ireland and for two years served as a board member for the Institute for Feminism and Religion. Currently she is a Docent for the Scivias Institute for Art and Spirituality. She is also a collaborator with Gruppo Alle Fonti, the group dedicated to cataloging and curating Assagioli’s Archives in Florence, Italy. Catherine was interviewed by the GodSpeed Insititute about her book and psychosynthesis. This interview was broadcast live by the Progressive Radio Network, a national station based in New York City. Topics included the events in Catherine’s life that led her on her journey toward psychosynthesis, the outer journey as reflection of inner journey, how we make meaning of suffering, what psychosynthesis is, culture shock, the personal journey towards the authentic self, and more. Click here to hear her one hour conversation. “Finding Your Feet in the Netherlands”, appeared in the October 2012 UT-Nieuws magazine (pp. 34-35). This interview explores Catherine’s ideas about culture shock, psychosynthesis, and her book. Catherine also describes her experience coaching PhD students and post-docs.